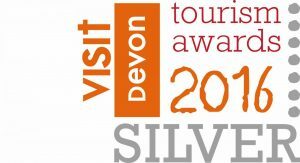 We were absolutely thrilled to have won silver at the Devon Tourism Awards in November. So much so, we couldn’t wait to share the news on our social media platforms. Our followers were delighted for us – with a resounding response of ‘well deserved’. Thanks guys! With Christmas behind us and the South West Tourism Awards upon us, we are finalists this year, we can’t wait to get going with our glamping season. That said, the cottages are motoring away with winter guests – it is lovely to have the cottages available all year round. The South West Tourism Awards are on the 7th February and we look forward to seeing how we do. Regardless, we have been selected as one of the top glamping sites in the South West and that is amazing in itself. These awards and accolades are so valuable to us and our business. It never ceases to amaze us how hard the work is, whilst being so varied and interesting. But also, how wonderfully rewarding and fun it is. Our guests are so great and forthcoming with their lovely feedback and it makes it all worth while. To have all of our work recognised through the Devon Tourism Awards and The South West Tourism Awards is just fantastic. 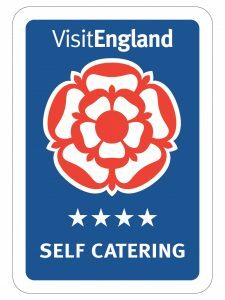 As well as this, our cottages have been rated 4 star by Visit England, they also awarded our yurts with their top accreditation of Gold. Plus we have been awarded Silver by Green Tourism, for our eco credentials, something really close to our hearts. So proud! As we look forward to the season ahead we are excited to see what it brings – more returning guests for starters, we know this as so many have already re-booked. Plus some new faces to The Orchard Retreat – generally lots of happy holiday makers enjoying all we have to offer here aside from our lovely accommodation. Mid Devon is amazing, after 5 years here we just love it more and more. So friendly, welcoming and beautiful. Plus with so much to do on our doorstep and a little further afield, it makes it the perfect place to getaway from the normal pressures of life, so you can relax and explore. Hopefully we can welcome you here soon, please do get in touch if you would like to chat about your next mini break or long holiday.